Chocolate Tastings: or does a sensory grid really work? So I suppose, if you read my first few posts. you’re wondering what the point of sensory exploration is, why would I spend my time with this practice. Do wines really smell and taste that different from one another? Does this concept really apply to other things. Maybe you think I’m just wasting my time being a nerd about things, and on that point perhaps you have some ground. I insist, however that sensory exploration can change your life, or at least your perception of it. So, I challenge you to a test. Go to your local grocery store and buy a plain old milk or dark chocolate Hershey’s bar, and then, if you can, find a specialty shop and purchase a bar of chocolate made from single origin cacao beans, no added bits or flavors like bacon or chili peppers. Take them home. Set yourself up with a large cup of water, and about thirty minutes of your precious time. Break the chocolate into pieces, on separate plates,and starting with the Hershey’s bar, slowly work through this generic sensory exploration worksheet. Now, not all of the terms will apply directly. Clarity, won’t make any sense, in my book at least, good chocolate should not be transparent in anything but ingredients. Brightness can refer to the reflection of light off the chocolate, is it shiny or dull. Concentration can apply to the depth of color, is it dark and rich or more light and mellow in appearance. Color is mostly self explanatory, but look past the basic brown, and decide for yourself the temperature of the shade, warm or cool. Are there undertones to that particular shade of brown? That would be your hue. Rim Variation, is there a difference in color between the center of the piece and the outer edge? Gas evidence, do you see evidence of bubbles? Sediment, are there any crunchy bits? Extract and staining, does it melt quickly, and is this color different from the bar itself? Then, move on to your next sense, Smell. Does the bar have any funky smells to it, like mold or does it smell burnt? If yes these would be considered flaws. How powerful is the smell? Does it smell fresh or like it has been sitting around for a while. That is the easy part. Now using your imagination and memory, try to decipher the underlying scents of the candy. Do you smell any fruit notes, and are those fruits fresh, baked, mashed, poached, processed some other way? Does it smell sweet like honey or like vanilla or something else? Do you smell any spices? Pepper and Cinnamon are commonly noted in single origin chocolate bars. Do you smell any nature smells like soil or tobacco, which would be organic earth, or is it more like chalk, or wet stone, which would be inorganic. Finally, the part you’ve probably been waiting for. Now you get to eat the chocolate. First, take a sip of water to refresh your palate. You can’t taste anything with a dry, tired mouth. Slowly let the bit of chocolate melt on your tongue, try not to chew it too much but to really recognize the level of sweetness present. 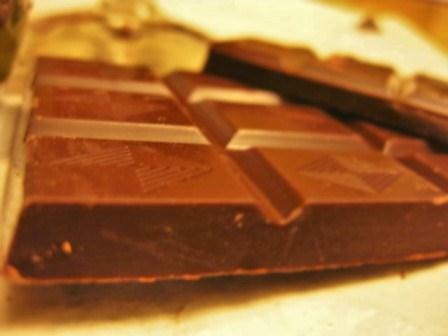 Chocolate can exhibit tannin, which causes the dry, puckering sensation in the mouth, do you notice this? 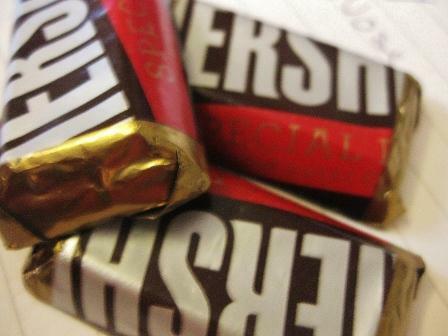 Once the chocolate has fully melted, try to get the flavor all over your mouth, like mouth wash. Is your mouth watering? How much? This is an expression of acidity, the more your mouth waters the more acidic the chocolate. Does it taste at all like alcohol, and is the general flavor of the chocolate mild or bold or somewhere in the middle? Take another taste of the chocolate. What flavors do you note. Do you taste the same things that you smelled? Are the same fruits there or are they different? Perhaps they are the same fruits but the condition has changed. The same method can be used for the other flavor categories. Now, think about the finish. How long are the flavors of the chocolate hanging around in your mouth. Is it gone only seconds later, or can you still taste it after a few minutes. Looking at all of your notes would you say this chocolate bar has a low complexity or a high one? Take a break and drink some water. You’ve done great! Now repeat the whole process with the second bar of chocolate, and compare you findings. Which bar was sweeter? Which bar had more flavors hidden past the sweetness? Which bar’s flavor notes hung around longer on your palate? Which do you feel you would want to reach for when your next chocolate craving sneaks up on you? What do you think is responsible for the differences in the two bars? Do you think the sensory exploration helped you notice things about the chocolates that would have otherwise been lost in a delicious feeding frenzy? 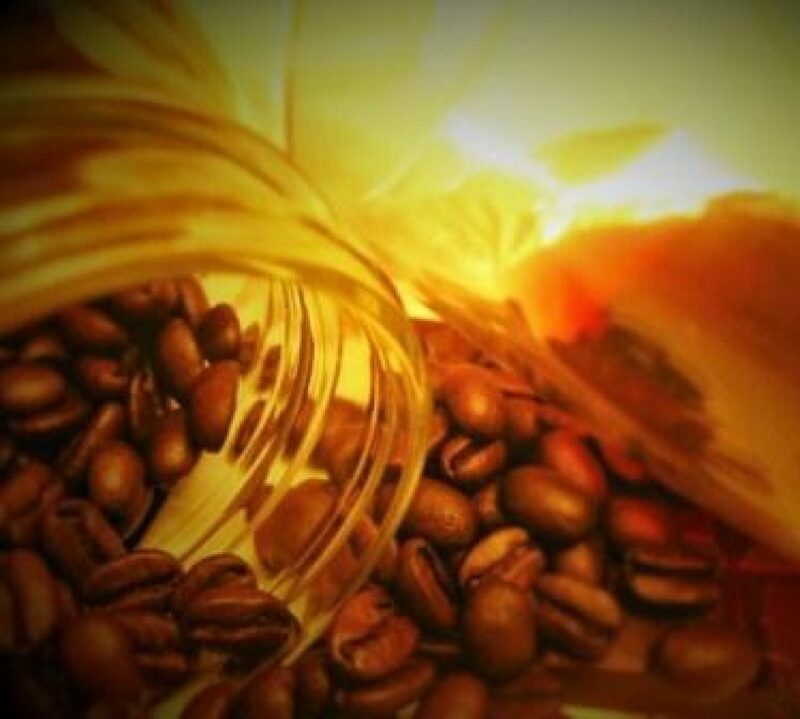 This same experiment can be done with a multitude of other foods, coffee is a prominent one, but also tomatoes, peppers, tea, honey, hops, tobaccos, agave, maple syrup and even some cheeses. If nothing else the activity gets you thinking about your perception and your sense, and the more things you taste the more flavors you will be able to pick out. The adage, practice makes perfect, applies, well, perfectly here. Did you try my experiment? What worked for you and what didn’t? I’d love to hear from you below or email me at Cherrieschocolateanddirt@gmail.com!